There’s nothing more fulfilling than ending a meal with a sweet bite. For those who grew up in Hong Kong, you may be familiar with the sesame roll, also known as the ‘film’ roll for its appearance. We visit Yee Tung Heen in The Excelsior to learn how to create this classic dessert from executive Chinese chef Wong Wing Keung. 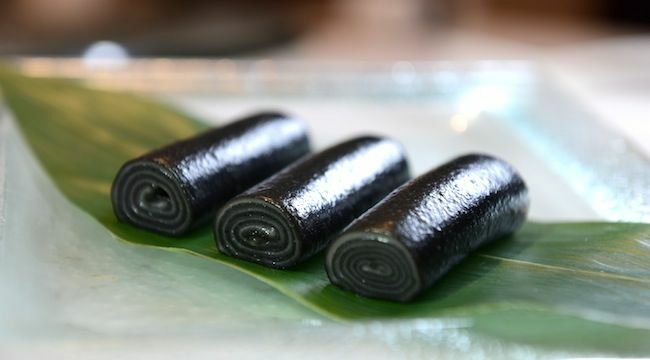 Where other restaurants may use a thin layer of coconut milk to get contrasting black and white layers, chef Wong uses a white sesame paste, which helps to enhance the overall fragrance of the dessert. Watch the video below to learn how to re-create this classic Cantonese dish. Read more about Hong Kong’s disappearing dim sum dishes here.